Neilson Hydraulics & Engineering Ltd provides an extensive range of hydraulic components, systems and electronic controls to companies in the construction, engineering, farming, materials handling, marine, plastics, recycling and steel industry. Neilson Hydraulics is a sales partner for Danfoss hydraulics (now Danfoss Power Solutions) and Bosch Rexroth Industrial Hydraulics. Neilson also distributes SPX Power Team High Pressure Hydraulic equipment (Cylinders, Hand Pumps, Air Pumps, Couplers, Hoses), Kleentek Oil Filtration Systems, Des-Case Desiccant Breathers and Eaton Filters (formerly Internormen). 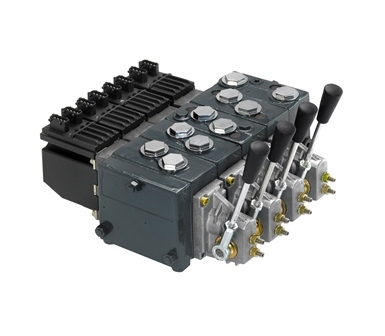 The company has launched an E-SHOP https://www.neilson-hydraulics.co.uk/store/ that sells hydraulics components online, including Danfoss PVG 32 Proportional Valve Components, Danfoss OMM Mini Motors, Danfoss OMP Motors, Danfoss OMR Motors, Danfoss OMS Motors and Danfoss OMT Motors. The E-SHOP also stocks Bosch Rexroth hydraulic components, including Bosch Rexroth Axial Piston Pumps, Bosch Rexroth Vane Pumps, Bosch Rexroth CETOP 3 Valves, Bosch Rexroth CETOP 5 Valves, Bosch Rexroth Inline Filters and Filter Elements. There is also a technical helpline for customers who require expert advice. This entry was posted on May 9, 2014 at 9:58 am. You can follow any responses to this entry through the RSS 2.0 feed. You can leave a response, or trackback from your own site.